We’re not joking—T-Mobile declared in its official statement today that “the new device will simply be called the T-Mobile myTouch 3G and will replace the original T-Mobile myTouch 3G.” We think it should be called “the smartphone formerly known as the T-Mobile’s myTouch 3G,” but that is quite the mouthful. According to T-Mobile, the new myTouch offers 288 MB of RAM and an 8GB microSD card, Swype for faster text input, as well as built-in 3.5mm headset jack and updated music player. The new myTouch also includes all of Google’s Android phone perks like access to all of their services, including Google Search by voice, Picasa and YouTube. 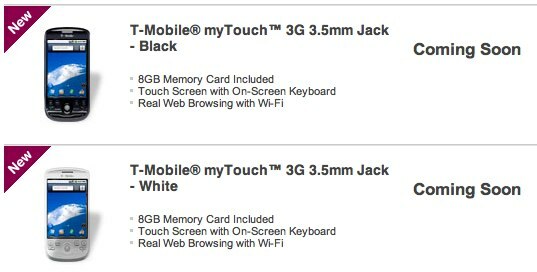 T-Mobile says the myTouch 3G is now available at select T-Mobile locations and online for $149.99 including a two-year contract agreement. Thanks Engadget for the PR release and the image.